I don't know how it is where you are, but here in Indiana, it's been a WET summer. Every time we turn around it seems as though more rain is headed our way. On the one hand, that keeps it from being a complete scorcher every day... but with rain, also comes mosquito. Yuck! Every time we are able to get outside, we come in covered in bites! That's not a fun way to spend summer! So, we set out to create our own insect spray- free of all the chemicals found in standard bug sprays! And super simple too. You can play around with these to find the perfect blend for you, or find a bug blend premade from most essential oil companies too. For my spray, I used half citronella, half lemongrass. Now fill the rest of the bottle with water. Spray on, be sure to avoid eyes and mouth. That's it--- super simple, right? It truly is a great way to keep the bugs away naturally. But when creating DIY essential oil products, the storage is EVERYTHING. They keep best in airtight dark glass containers. But where can you find those? Infinity Jars set the standard for premium glass jars and containers. We are proud to boast the largest collection of unique styles of ultraviolet glass you'll find anywhere. Our products are created and backed by scientists and health advocates around the world. Extensive research has gone into each of our products, and we guarantee you can leverage the incredible power of these jars to maintain the optimum freshness of nearly any foodstuff, dried good, lotion, or essential oil. I was given the chance to try a selection of jars out for myself. And let me tell you, they have jars for just about everything you need! I received spray bottles in 10 and 15 mL. 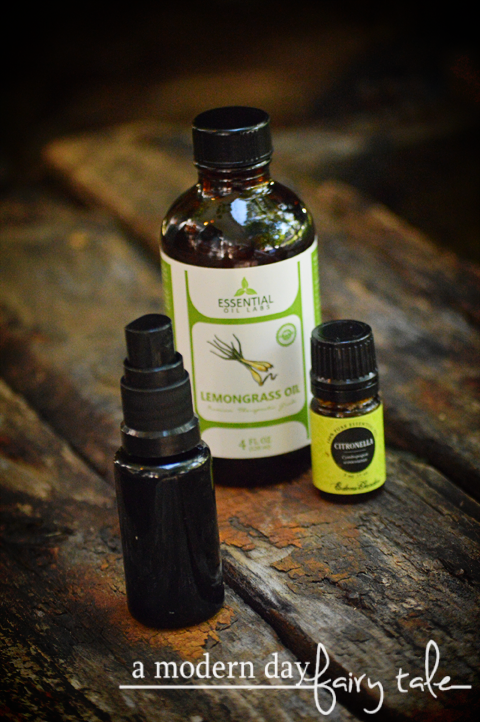 These are great for recipes such as this insect spray or a 'monster away' type calming spray. They are small enough for easy travel, so perfect for my needs! Spray bottles go all the way up to 300 mL, which are ideal for DIY cleaners! I also received a 5 mL glass screw top jar and a 50 mL cosmetic style wide mouth jar. I love making my own scrubs, so the larger size is great for that! It would also be great for homemade lotions, cremes, DIY chest rubs and more. The smaller size is great for a homemade lip balm. It could also be a great travel size for any type of boo boo balm for the kids! These also come in a variety of other sizes for all your needs. Finally I received a roller bottle. These are ideal for prediluted essential oil blends--- add your carrier oil and oils of choice and apply as needed on the go, anytime. All jars include handy labels so you know just what is in each bottle and when it was made. I loved each and every one of these bottles, and have a wishlist of many more to try! 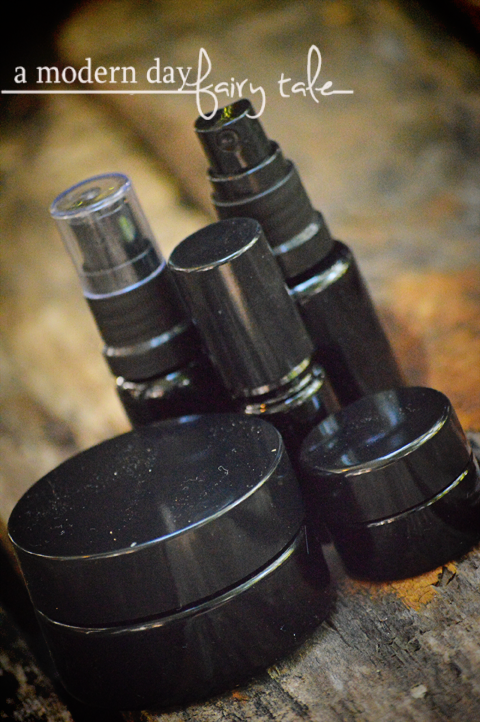 No matter what DIY essential oil recipes you love to create, they have just the right containers for all of them. You can even get variety packs to save a little and meet all your needs easily! Do you love DIY essential oil recipes? Which jars from Infinity Jars would help you most? I took a few notes about your DIY Mosquito Repellent. The past couple of months have been pretty bad: I step out of the house, and THERE THEY ARE. They seem to go after me like crazy (despite the bug spray! ), and it's actually led to me spending less time out in our yard and around the house. Here's to hoping that this works, even just a little bit! I have a good feeling about it.